The energy companies claim the vast majority of any profits they do make are re-invested in new generation capacity. 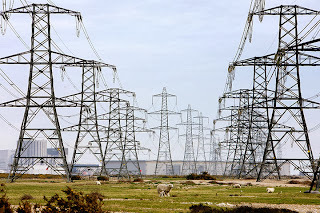 Yet in February Scottish Power’s parent company Iberdrola announced it was spending £890 million from Scottish power revenues on share dividends (2) – (4). It also spent £23,000 sponsoring Labour, Conservative, SNP and Plaid Cymru conferences and events in 2012 (5). An investment to ensure no real regulation or renationalisation maybe? If so, cheap even if it had been ten times that. Accountants who looked at the Big Six energy firms’ accounts, interviewed by Channel 4’s Dispatches, found they all issue similar share dividends of hundreds of millions of pounds a year (6). The accountants also found the firms’ claims on their profit margins include only retail, excluding big profit margins on generation and wholesale of energy, with all six firms being generators as well as retailers (7). Office of National Statistics and Ofgem figures show that while wholesale energy costs increased by 38% between 2005 and 2010, customers bills increased by 73%, almost twice as much. Add in that the companies were making profits on generation and wholesale and energy costs can’t possibly account for the increase in bills (8). A study by Manchester University in 2011 found the big six energy firms systematically profiteering over years by raising their prices by the full amount every time wholesale gas costs increased, but, when costs fell, delaying passing on the savings to customers and only passing on part of them when they did (9). Ofgem, the energy regulator, recently estimated that energy companies have been increasing prices by up to 10% a year while wholesale gas costs are falling (10). 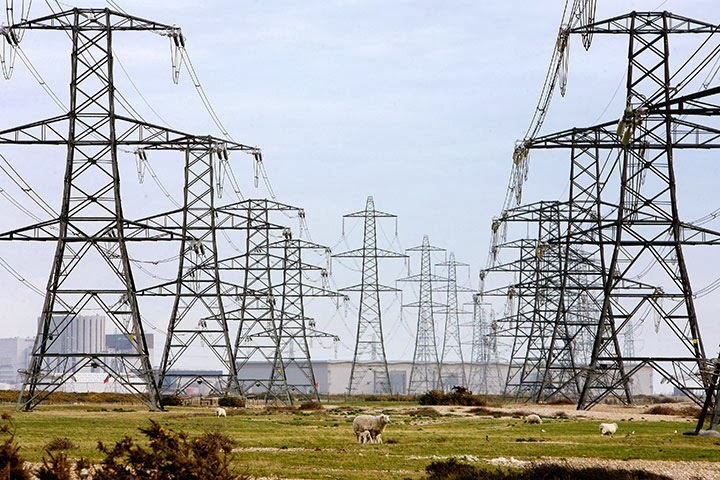 It also estimates that their profit margins have doubled in the last year , while infrastructure costs, wholesale energy costs and green levies have added just £35 to the average bill in the same period (11) – (12). The energy companies, PM David Cameron and the Daily Mail want you to believe that the main cause of rising bills has been “immoral” green levies added to them by the last government (13) – (15). Yet most of these levies have nothing to do with renewable energy or reducing CO2 emissions. They’re to reduce energy bills for the poorest households. Only four are ‘green’ measures – the Renewables Obligation, the EU Emissions Trading Scheme and the Carbon Price Floor, and Feed In Tariffs, which allow consumers to save on their bills by generating electricity using small wind turbines or rooftop solar panels. The four together put £50 or about 3.95% on the average household’s annual bill of £1,267 a year (16) – (17). So green measures are under 4% of the average bill ; apart from the fact that as global demand for fossil fuels is rising faster than supply, if we don’t invest in alternatives to increase supply, energy prices will rise faster. The other two main government levies on fuel bills, the Energy Companies Obligation and the Warm Home Discount, reduce bills for people on low incomes. The final two, and smallest, are for Smart Meters and Better Billing to reduce all consumers’ energy bills. These four non-green levies add £61 a year to the average bill or 4.81% (18) – (19). Privatisation of the energy industry is only a success for the wealthy executives and major shareholders of the companies, at everyone else’s expense. The average income of the majority of people in the UK relative to inflation has been falling ever since the financial crisis ; by 2% in this year to August alone (20). Almost one in four people in the UK are spending their savings to pay energy bills, one in six have gone into debt to pay them. Thousands are estimated to die each winter due to illnesses caused by cold due to being unable to afford to heat their homes (21) – (22). Yet the energy companies’ executives are still increasing their profits and spending them on dividends. That kind of massive redistribution of wealth from the vast majority to a tiny and already wealthy minority is unacceptable. Nationalisation must follow. Even with the economy growing again, so much existing and new wealth is being taken from the majority by a small majority that economic growth is not stopping the majority continuing to get worse off. Unless we want to end up like Brazil, with a tiny wealthy elite and everyone else in poverty, we have to reverse the inequality. Sign this 38 degrees petition and/or this petition on the government’s website calling for the renationalisation of the energy industry to end profiteering by the energy companies. Contact your MP asking him to urge his / her party to adopt renationalisation of the energy industry and call for it in parliament and in his or her column in the local newspaper. You can find who your MP is using your post code and contact them on this site.